According to a "Top secret" cable sent to Israeli ambassadors earlier this week, Israel fears that the Assad regime will use the chemical weapons it still has left in a way which might spill over to Israeli territory. The contents of the cable were shared with me by senior Israeli officials. Why it matters: Senior Israeli officials told me ambassadors around the world were asked to convey harsh messages about events in Syria, and Iran's role in them, due to the feeling that the international community doesn’t comprehend how concerned Israel was by Iran's actions, and how ready Israel is to take military action if no diplomatic solution is found. On Monday night, three days after the latest escalation on the Israeli-Syrian border — in which an Iranian drone entered Israeli airspace and was shot down — the strategic division in the Israeli ministry of foreign affairs sent the 'Top Secret" cable to 15 Israeli embassies around the world, including in Washington. The cable contained instructions for the ambassadors to pass on to senior officials in their host states harsh warnings against Iranian military entrenchment in Syria. One of the more unusual instructions in the cable was to pass a strong message regarding the Israeli concern that the chemical weapons left at the disposal of the Assad regime might be used against rebel forces close to the Israeli border in the Golan Heights and spill over to the Israeli side. In the cable the ambassadors were asked to tell their counterparts, "Such an incident will mandate a harsh response by Israel". The cable also instructed the ambassadors to tell senior officials in their host governments that Iranian military entrenchment in Syria might increase Iran's temptation to challenge Israel in a way that will lead to further escalation. "Israel does not want an escalation but has an obligation to defend itself", the cable reads. 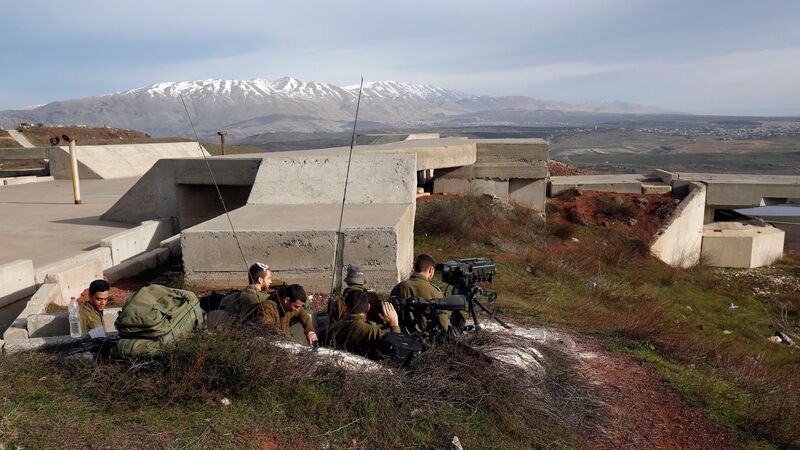 The international community must pressure Iran and stop the Iranian attempt to encircle Israel via Hezbollah in Lebanon and Syria. The international community must prevent Hezbollah from purchasing, assembling or manufacturing precision missiles which might be used to target Israel. To prevent regional escalation, the international community must make sure Iran disengages from Syria and removes its military forces from the country.